Is Coinbase legit? That’s a question that will be answered in this Coinbase review. The Coinbase exchange was founded in 2012, and is headquartered in San Francisco, USA. It offers exchanges of not only bitcoin but other cryptocurrencies like Etherium and Litecoin. Coinbase operates exchanges in 32 countries, and facilitates bitcoin transactions and storage for 190 countries. In order to use Coinbase, a user must register for the site, which requires an email address and password. The user then needs to specify a method of payment, at which point he or she can purchase bitcoin (or other cryptocurrencies). 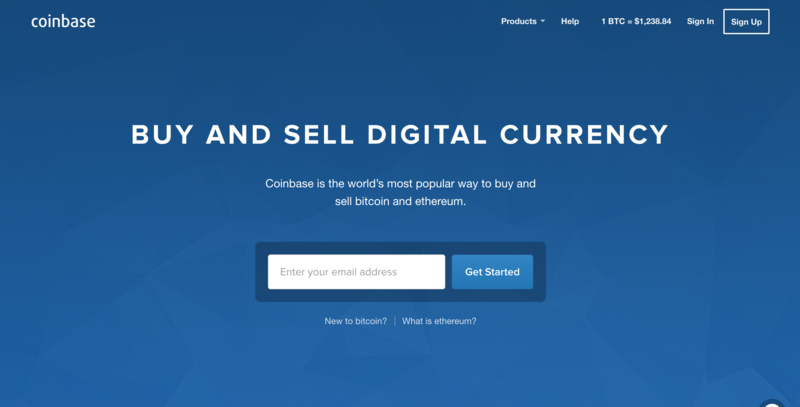 Once purchased, Coinbase facilitates online transactions using bitcoin. A user needs only to provide an email address and password to open the account. In order to purchase any bitcoin, it’s necessary to either link the account to a bank account or a credit card, so at that point the account is linked to a person’s identity. Additionally, Coinbase complies with KYC/AML laws in jurisdictions in which they operate, so they may require you to document your identity with government issues identification. Once a user has registered, he or she has two methods of payment for buying bitcoin. The first is to link a credit card with the account. The second is to link a bank account with the account. 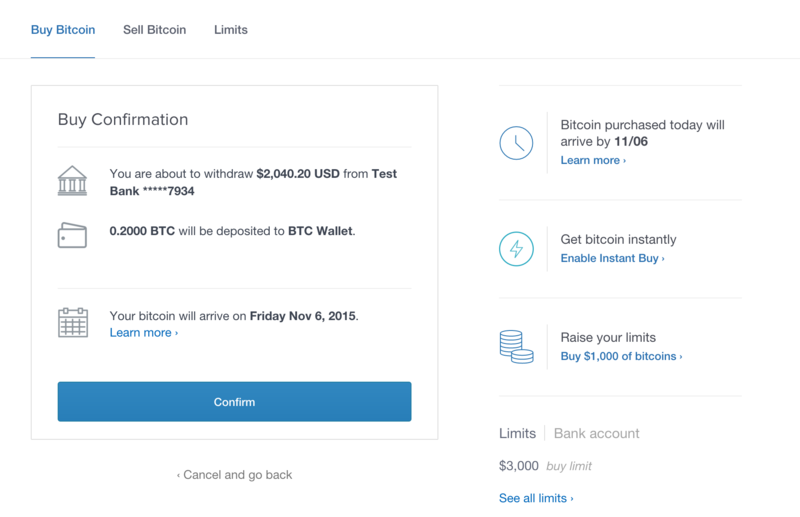 Once the credit card/bank account is confirmed, the user can purchase bitcoin from Coinbase. The options for payment/deposit are either transfers from a bank account or the use of a credit card. The purchase limit is $1,000 per day in bitcoin for level one users, those whose identities have not been verified. If a user has a fully verified US identity, that limit rises to up to $50,000 per day in bitcoin. Does Coinbase Charge Service or Transaction Fees? For most transactions, Coinbase takes a 1% fee of the total transaction value. For Paypal transactions, that fee is 3.75%. A user may withdraw their money from Coinbase, but it should be noted that it’s not possible to withdraw onto a linked credit or debit card. A 1% fee is charged for withdrawal, or 3.75% for Paypal. Does Coinbase Have A Trading Platform? Coinbase does not offer a direct platform for individual users to trade bitcoin with others. However, they do allow the user to send digital currency through Coinbase, as well as receive it. 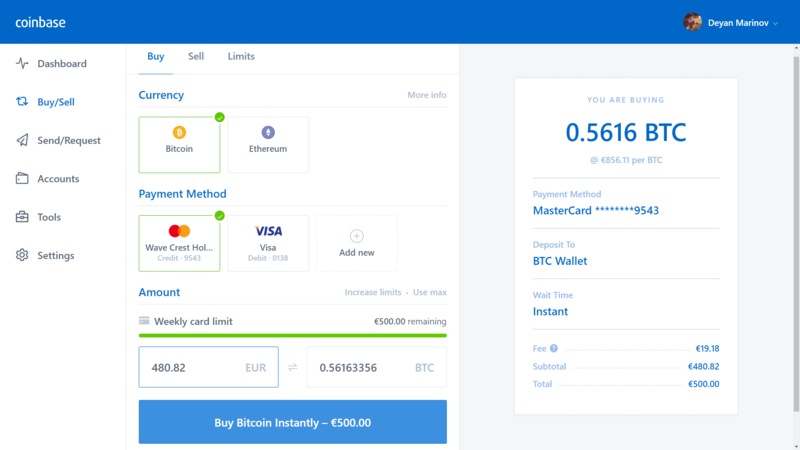 Coinbase offers Merchant Services which assist someone trying to set up a site accepting bitcoin or other cryptocurrencies as a payment option. Coinbase has a pretty extensive support page, offering answers to a variety of questions users might have. They also offer users the ability to submit help requests to their help desk. – Like with most exchanges, a user doesn’t have complete control over their bitcoin while it’s held by Coinbase. – Numerous complaints exist from users as to Coinbase’s non-responsive customer support when trying to resolve account issues. Coinbase in a lot of ways is the closest thing one can get to a traditional bank while using bitcoin. This has both its pluses and minuses. If you’re interested in using bitcoin but not all that concerned about privacy issues, Coinbase might be good for you. Another reason Coinbase might appeal to you is that it’s well financed and stable, if you’re nervous that the exchange you’re using might collapse without warning. The downside to Coinbase is that you get a lot of the stuff that makes people dislike big banks. So it might be correct to say that Bitcoin is good for newer or casual cryptocurrency users, but there exist a large number of better options out there for more experienced users. That concludes this Coinbase.com review. Protection of your bitcoins to every level. Customer service only through email. Sometimes takes 2-3 weeks for a response. Limits contents, describe those here.